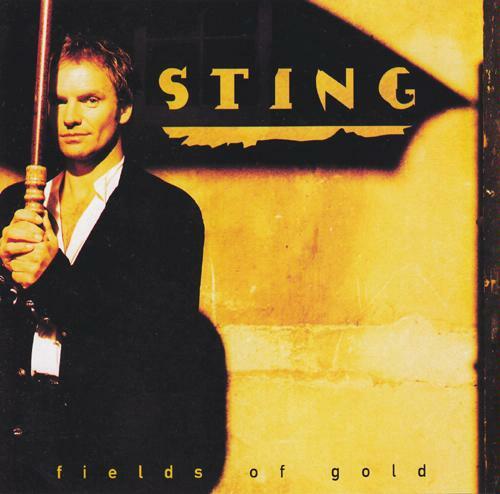 “Fields of Gold” is a 1993 song written and performed by Sting from his album Ten Summoner’s Tales. “Fields of Gold” and all the other album tracks were recorded at Lake House, Wiltshire, mixed at The Townhouse Studio, London, England and mastered at Masterdisk, New York City. The harmonica solo is played by Brendan Power, and the Northumbrian smallpipes are played by Kathryn Tickell. The music video was directed by Kevin Godley. The cover of the album was photographed at Wardour Old Castle in Wiltshire, as was the cover for the album Ten Summoner’s Tales. “Fields of Gold” was the second single released from the album after “If I Ever Lose My Faith in You”. The single reached No. 16 on the UK Singles Chart, No. 23 on the Billboard Hot 100 and No. 2 on the Billboard Adult Contemporary Chart. It was a hit in Ireland, Germany, The Netherlands, Switzerland and many other countries. The song was included in Sting’s first compilations album issued by Sting under the title Fields of Gold: The Best of Sting 1984–1994 and released in 1994 and in a later compilation The Very Best of Sting & The Police in 1997. It was re-recorded by Sting in 2006 as a bonus track for his classical album Songs from the Labyrinth, in which the song was accompanied entirely by a lute. Interesting, I’ve never seen this song transcribed this high on the fretboard, it’s usually between the second and fourth frets. Thanks, I will definitely try this out!